"Sunflowers", painted in 1888-1889 by Vincent Van Gogh. 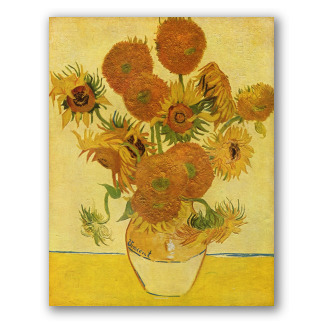 The date in which Vincent Van Gogh painted this version of Sunflowers is not clear. It is believed it was the year 1888 or 1889. 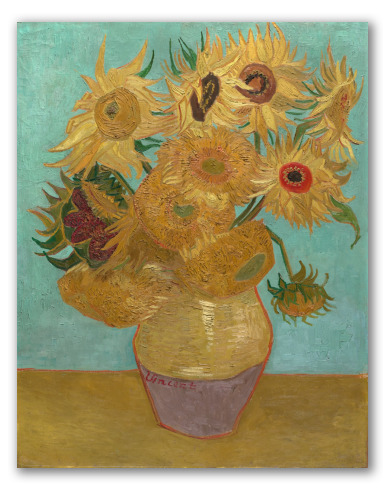 Vincent was almost obsessed with these flowers; he not only painted them in different versions changing the type of illumination or disposition of the flowers, but he also repeated each version multiple times. 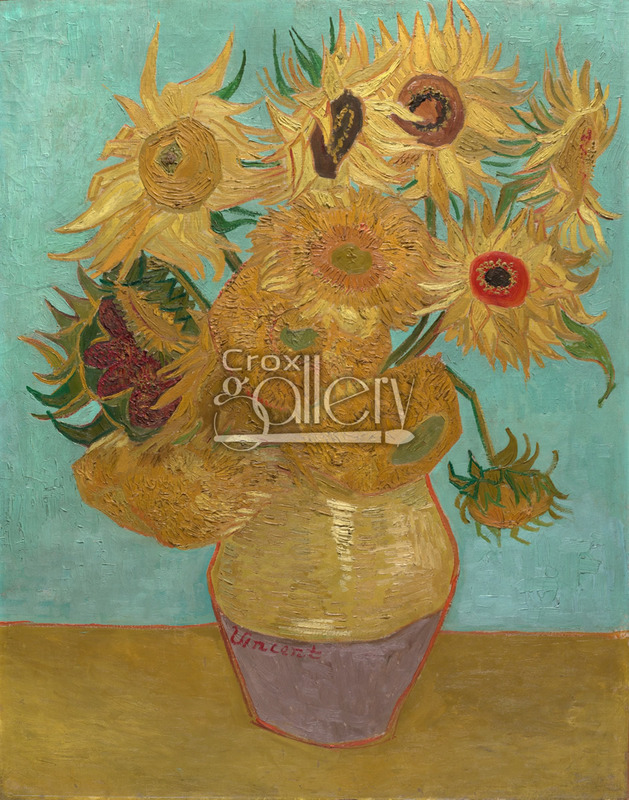 For example, in this other version of Sunflowers, you can see the same elements with some slight changes: 12 flowers in an oval vase, on top of a table. This work of art is located in the Philadelphia Museum of Art, USA.